I studied in Lyon, France at l‘Université Jean Moulin Lyon 3. 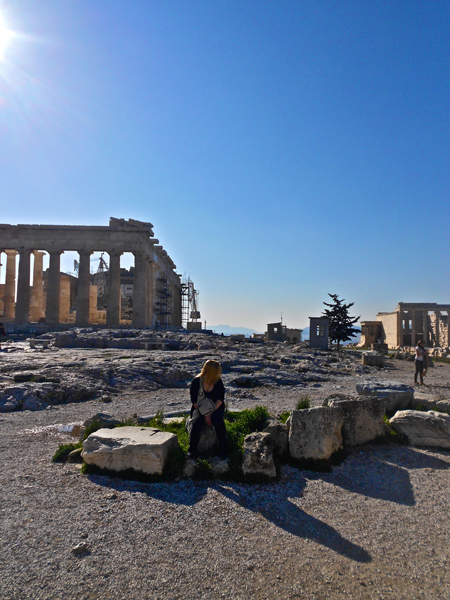 Studying abroad had been my goal since I began thinking about university, which is why I chose a program at Carleton that had it as a requirement. 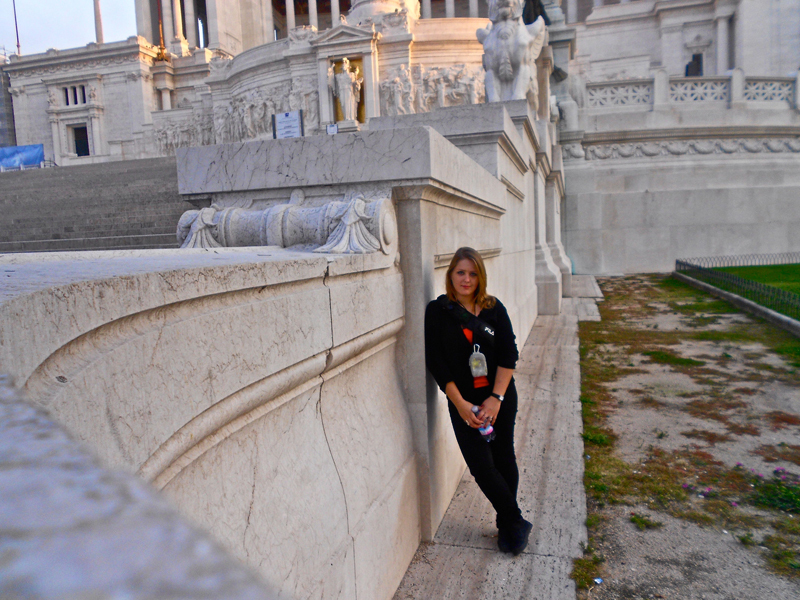 I love learning about different cultures, seeing new sights, and getting to know new people. I wanted to take myself out of my comfort zone and experience something new, something exciting. Studying international business also was a good reason to go abroad and experience how globalization has affected the business world. Traveling is just one of my passions. Do you have any tips on writing visa applications and preparing for a study abroad term? What was your visa application process like? My number one tip is START EARLY! I think you will hear this from everyone. The visa application process is long and confusing. I had to apply through the French consulate and there was definitely a lot of confusion along the way. But don’t be discouraged. It’s completely doable. You just need to start a few months in advance of your departure date so that if any questions come up you always have enough time to deal with them. I also want to say something about preparing for study abroad. Read a lot! Read about other people’s experiences in the host city where you’re planning to travel. Meet with former exchange students. Read about the history, culture, and people of the city you’re planning on staying in. Gather as much information as you possibly can. Your home university probably has a student exchange office where it would be easy to get in contact with a student from your host university or city, who can explain a few things to you and give great advice. Also, practice your language skills as much as you can beforehand. If you don’t know any of the language, try to buy a phrasebook and learn. If you’ve studied before, find someone with whom to practice! I was surprised how many exchange students were at my host university. There was such a large sense of community among students from all over the world. It was the most amazing experience I have ever had in my life! Through Facebook I signed up for a few exchange student groups in my host cities, which allowed me to participate in events they organized and get to know a lot of people. Now I have a couch to sleep on in every country in Europe. I was also surprised at how cheap the travel was there. Obviously there’s still a lot of air travel, which can be quite expensive. But if you plan ahead, and use carpooling, trains (which have discounts for students) and couch surfing, your travels can cost just pennies and you can see everything you’ve ever dreamed of. Did you participate in extra-curricular or social activities abroad? As I’ve mentioned earlier I took the opportunity to participate in more than one exchange student club in order to access activities. I was a part of the Erasmus Lyon group (Erasmus is a term often used in Europe to refer to exchange students because it’s the name of their exchange program) and I also made sure to keep up with the International Relations Office (aka International Student Office) at my host institution. 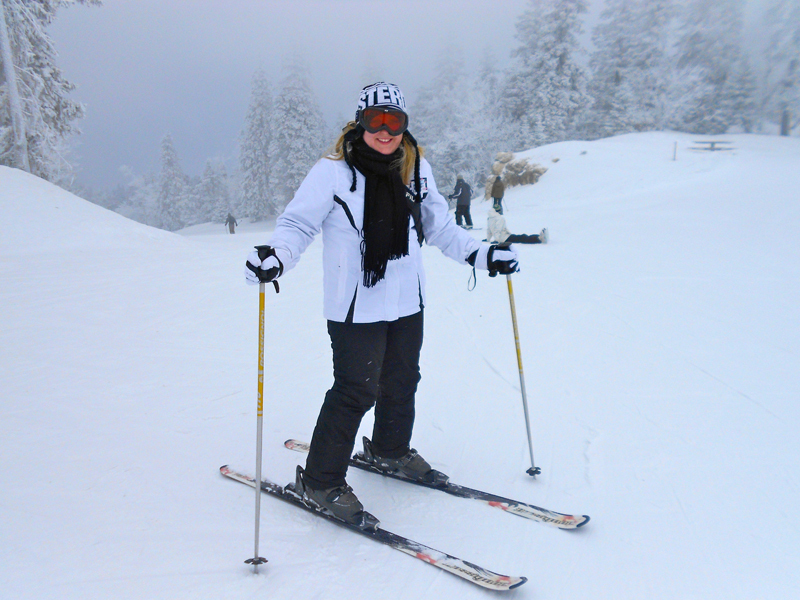 Both groups offered different activities, some of which included: going to ski in the Alps, going to a wine tasting festival, weekly club parties, tickets to various networking opportunities, wine and cheese, trips to nearby cities, and more. It was really wonderful because most were either free or very cheap, which was very helpful given my tight budget. Thanks to these groups I was able once again to meet people and experience a lot of things without spending a fortune. What made your study experience abroad a success? The big success for me was the fact that my language skills improved tremendously. I came to Lyon barely being able to keep up with a conversation and left being able to speak with ease. During my stay I was able to network a lot and meet not only other students, but also professionals. Through a friend I was even able to find a small internship at a French firm, which allowed me to experience the French business environment and make a lot of contacts. It was a great experience and a very challenging one. I was able to apply my skills in English to my internship by proofreading different English documents and assisting with other mundane tasks. I know that this experience prepared me to work in France once I finish this year and graduate. My travels also improved my communication skills, my cultural understanding, independence, leadership skills, and helped me develop a thicker skin. How did you deal with the culture shock/cultural divide? Knowing I was going to France I thought I wouldn’t experience culture shock – considering that it’s a developed country and the differences would be language and cuisine. Boy, was I wrong! 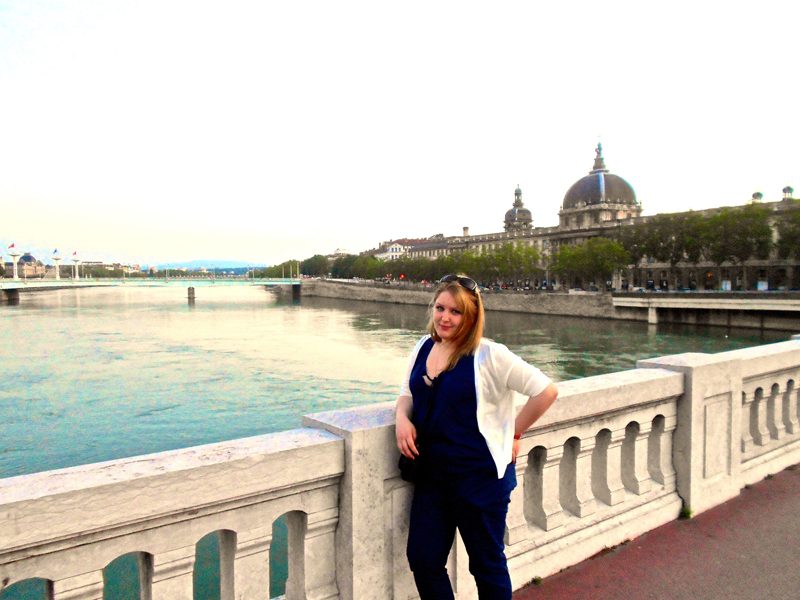 My first four months in Lyon were difficult. I was away from everything and everyone I knew, experiencing things that made no sense to me. Things like the different business hours of stores, services, and basically everything. They tend to take a two-hour lunch, and some offices in universities only work three or four days a week. The educational structure in France is completely different. Here in Canada we get a textbook, PowerPoint slides and the professor lecturing with handouts. Professors have office hours and there are many resources like computers, study spaces and good wifi connections. In France none of this exists! You have to come to lecture and listen the professor – that’s your only source of information. There are no slides, and no books. Internet is barely used for anything, all class schedules must be found on specific display boards, and even some registration is paper-based. The way I dealt with this was by asking a lot of questions. The International Relations Office was my go-to place for advice. If I couldn’t figure it out myself I would go there. Also I bought a recorder and recorded all lectures so that I could listen to them later. I also made as many friends in class as possible so that if I had to miss class I would have someone else’s notes. Everything else you just adjust to along the way. Just take your time, remember everything will figure itself out; and don’t ever be afraid to ask a lot of questions, people are there to help you! First thing to get used to was the way to greet people. In France (as in many other European cultures) it is appropriate to kiss on the cheek twice when you’re meeting someone for the first time, or in general. I am the kind of person who likes my space so that took a little while to get used to but I realized that it was important to adhere to this as people found it rude otherwise. Basically communication is very different overall. My advice is to take your time and be patient and observe. Make sure you’re paying attention to how others communicate and adjust just enough without compromising your core beliefs. If there ever comes a time where you’re uncomfortable or unsure, don’t be afraid just ask! Say that you’re not from around there and that you’re not sure how to behave or just go with the flow. If you see that you’ve offended someone unintentionally, apologize and explain that you’re adjusting. Enjoy the learning process! My return was bittersweet. I know many fellow students who have returned recently and they experienced the same withdrawal symptoms. We were all happy to see our families and be back to our familiar surroundings, but things weren’t quite the same. The experience was so big and exciting that getting back to your normal life seems boring in comparison. I decided that for the last year of my studies I’d make sure to keep in touch with everyone from Europe and see if some of them would visit here so I could continue to work on my language skills. Until graduation I’ll be focusing on school and improving my language skills. 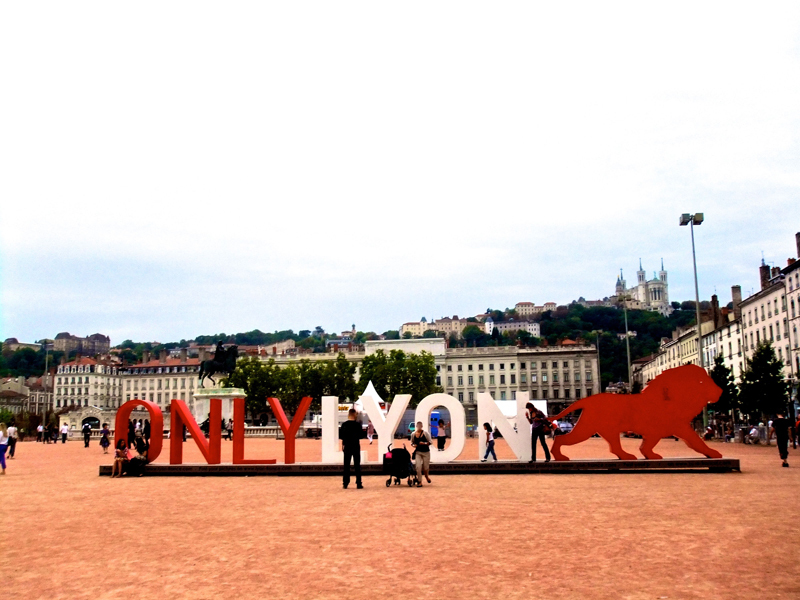 Once I graduate, I plan to apply for every job possible in my host city (Lyon) and the south of France, and move there. I’ve been inspired by Europe so much, by the culture, by the architecture, by the traveling – I realized that I want to continue my life there. This experience has completely changed my outlook on life. It has broadened my horizons and expectations. I cannot wait to see what my next experience abroad will be like. As I may have mentioned, I plan on traveling all over the world during the span of my entire life, and hope to step foot in most countries. In regards to my career I hope to get a job with a consulting firm upon my graduation. I am looking to apply for jobs specifically in France, as I hope to live in Lyon for a while, but I will also be looking for something in countries all over Europe. I found a few websites where I can post my resume for companies to see all over the world. I hope that my experience and education in Canada will be of value abroad. I am currently working on turning my resume into a CV, in order to do this I was referred by many professionals to look at My World Abroad as a good source and guide on how to write a good CV. My ultimate goal would be to have a job that allows me to travel to many different places. Kristina paints a vivid picture of the culture shock she experienced upon arriving in her host country, and the subsequent process of integrating into French culture. Although she had a life-changing experience in France, we suggest that Kristina consider participating in a summer volunteer, intern or English teaching term in another region of the world before committing to a long-term stay in France. Experiencing a new foreign culture will build her adaptation skills, challenge her communication skills, and further build her international resume. She might consider, for instance, undertaking a volunteer term with an NGO in a French-speaking African nation, which would allow her to continue using her significant language skills, while building new and valuable cross-cultural experience. Tactics for Regional Job Hunting is an article that invites you to consider the benefit of selecting a location based on your field of focus rather than the culture or region. The Ideal International Profile will give you a sense of exactly what traits and skills are necessary to succeed in an international career. Read and study the examples in the International Resumes section to start building a successful resume. All NGOs, International Internship Opportunities and International Volunteer Opportunities are four extensive Resource Lists that will provide an excellent basis for your research when you start looking for your next program abroad. See how She got started.